Fresh figs are available for two short seasons each year – June and then August through October. 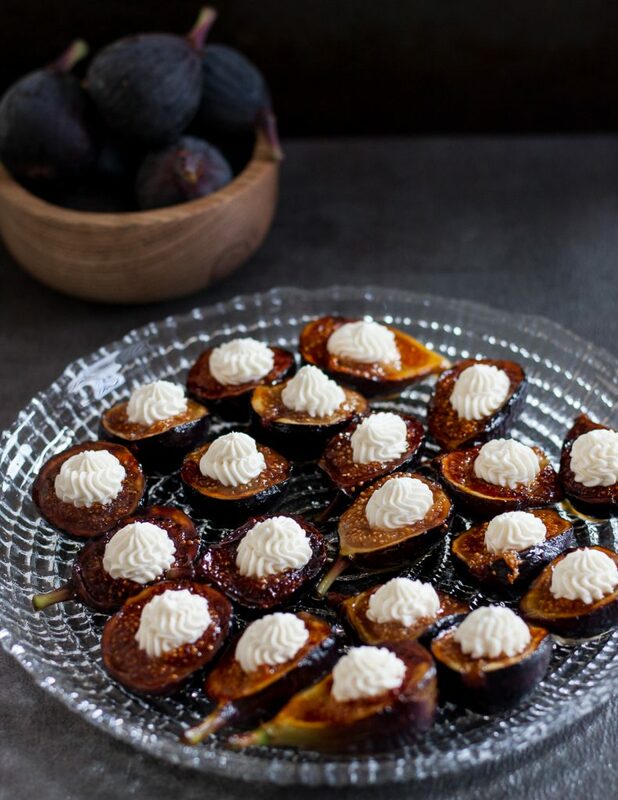 Make the most of the season and experiment with easy, impressive recipes like these honey grilled fresh figs with whipped goat cheese! Bless the Godfather’s patience for walking around a grocery store with me. The produce section is especially dangerous as when I spot things I’m particularly fond of, like Brussels sprouts and fresh figs, I will happy dance and cheer out loud before I can stop myself. This situation played out rather recently when I spotted a box of fresh figs at one of the local markets and I had to have it! It was a two pound box, and I ate most fresh. 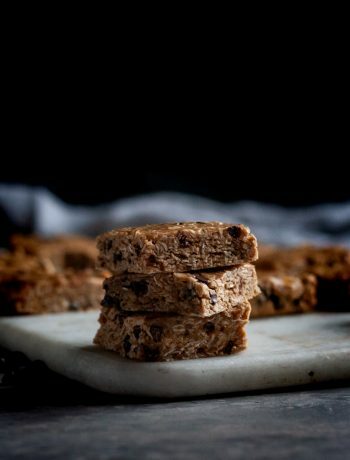 I used the blog as an excuse to bring so many home though, so I needed to actually make a recipe. I ate these honey grilled figs too. They were so easy, and so delicious, I will make these for at least one party this year. Perhaps more. 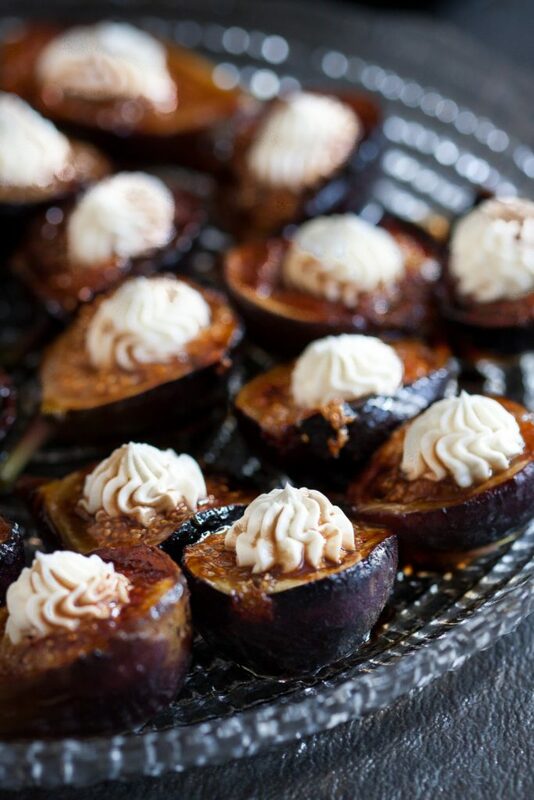 It’s challenging for me to extol the virtues of recipes with fresh figs because they are so good plain. We ate figs plain growing up – my mother just washed and served to those in the family that would eat them. At the moment, I’m the only one in my household that eats them. I am turning into my mother. Bring on the burnt orange and leopard print. 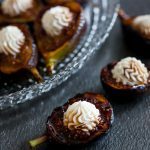 Now, while these figs are “grilled”, the time it takes to grill them is minimal, and unless you’ve already fired up your outdoor grill for another dish, I recommend using a grill pan. 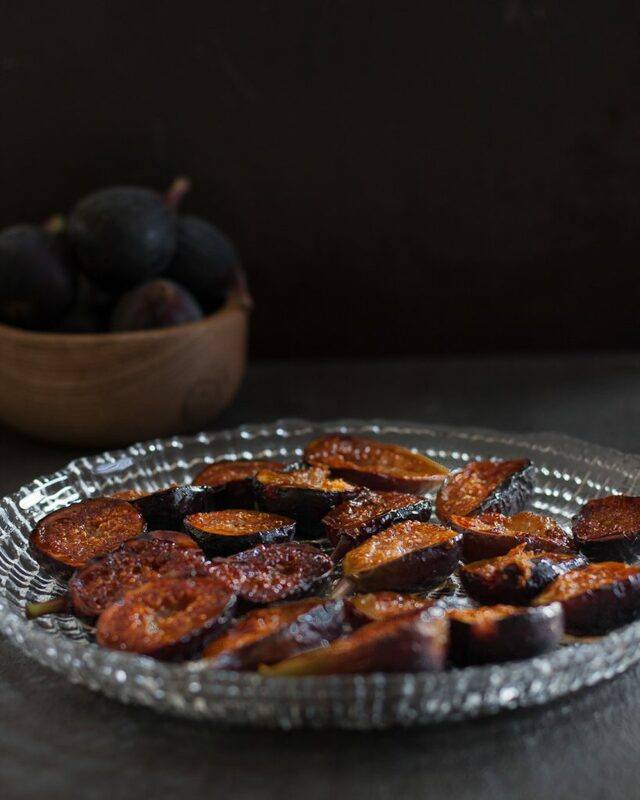 Place the pan over medium high heat and you’re ready to grill your figs with minimal mess and stress. This entire dish, including making the glaze – which you can do in advance – takes just a few minutes. 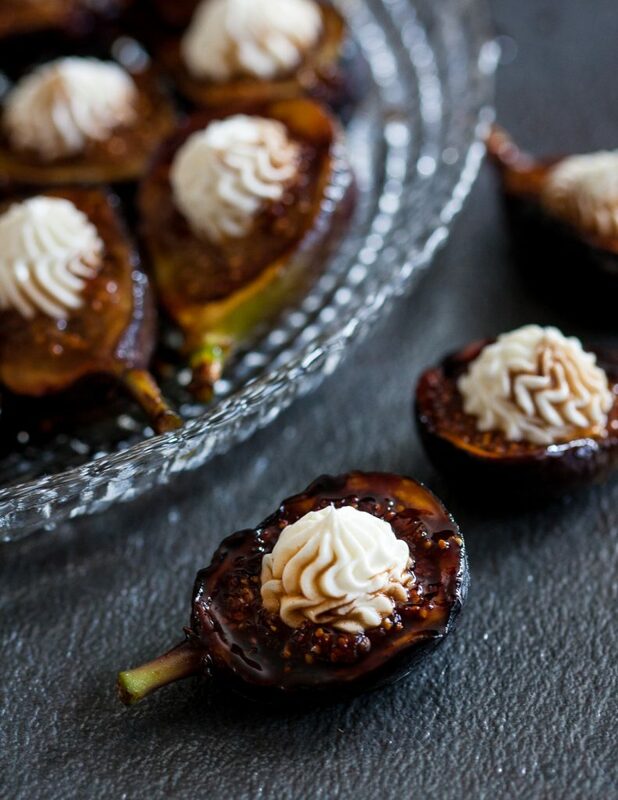 Once you grill the figs, it’s best to serve them immediately. They’re at their best within 2 hours of assembly. Keep this in mind when planning your holiday party menu and preparation schedule. Thankfully, prep time is only a few short minutes, especially if you make the glaze in advance, and the results are just stunning. 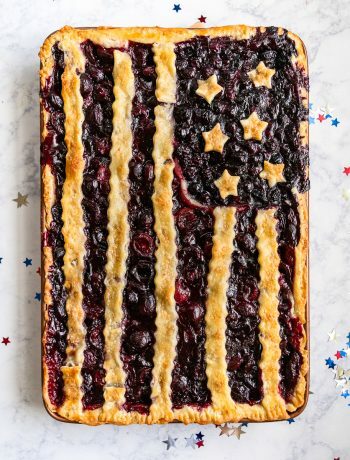 I love recipes that are simple enough for a casual gathering yet look right at home at formal events. In a small saucepan, combine the vinegar, water, brown sugar, and salt. Bring to a simmer over medium heat and stir frequently until the sugar has dissolved and the glaze has reduced to the desired consistency (at least by half). This takes 10-15 minutes. 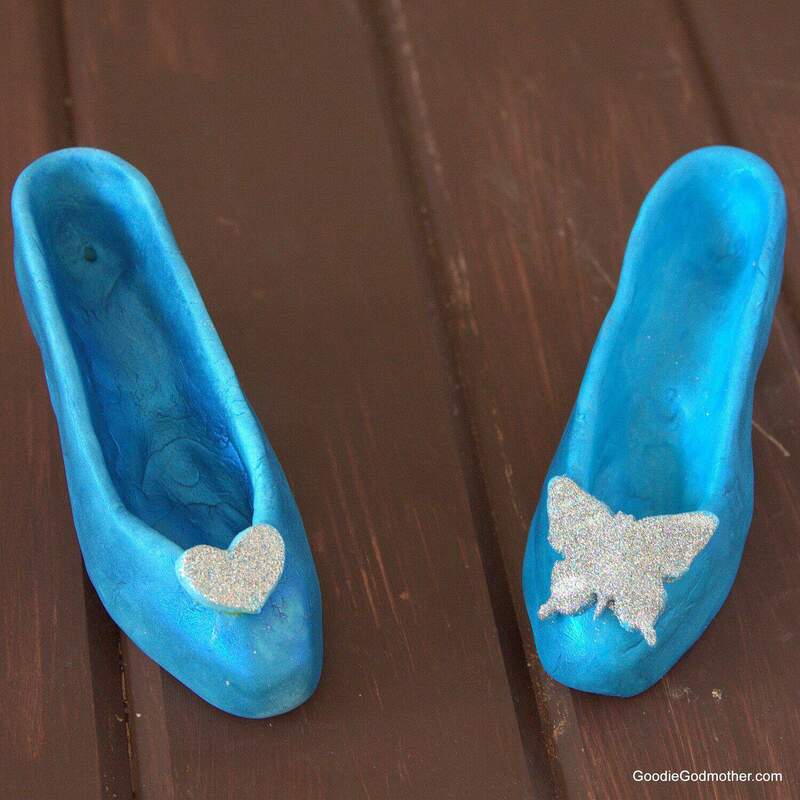 You can speed up the process by using a slightly wider pan. Once the glaze has reached just under the desired thickness (it will thicken as it cools), remove from the heat and place in a glass container. Refrigerate until needed. You can make the sauce up to 3 days in advance. Wash the figs, pat dry, and cut in half. Set a grill pan over medium high heat. In a small bowl, combine the honey and olive oil and dip or brush the figs with the honey mixture. Place on the grill ban and grill 2-3 minutes per side. Remove and place on a platter. Using a stand mixer fitted with the whisk attachment or a hand mixer and a medium mixing bowl, whisk together the goat cheese and cream cheese for 2-3 minutes on medium speed until fluffy. 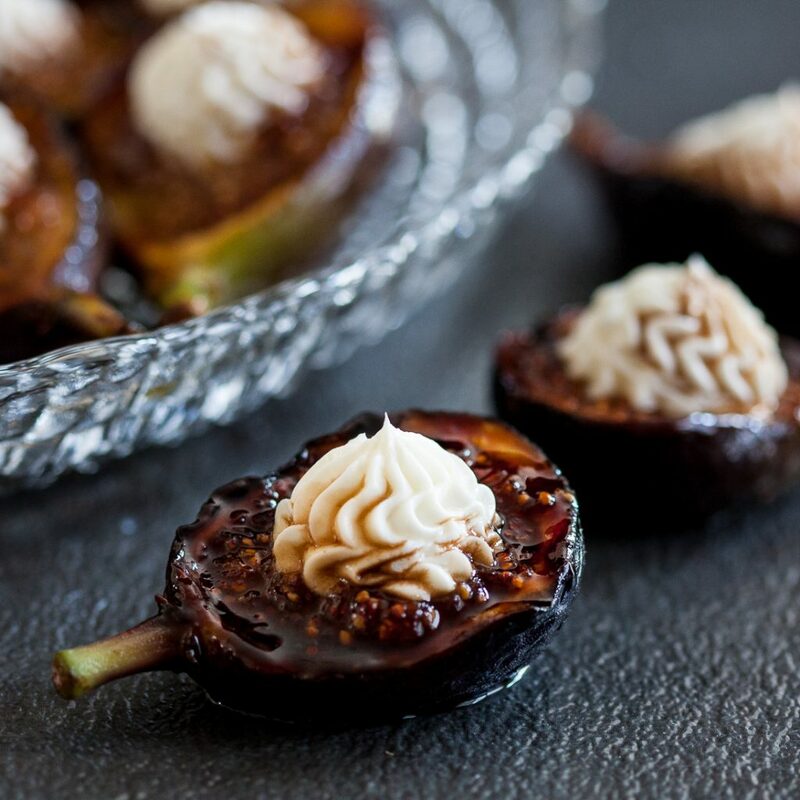 Pipe or spoon onto the grilled figs. 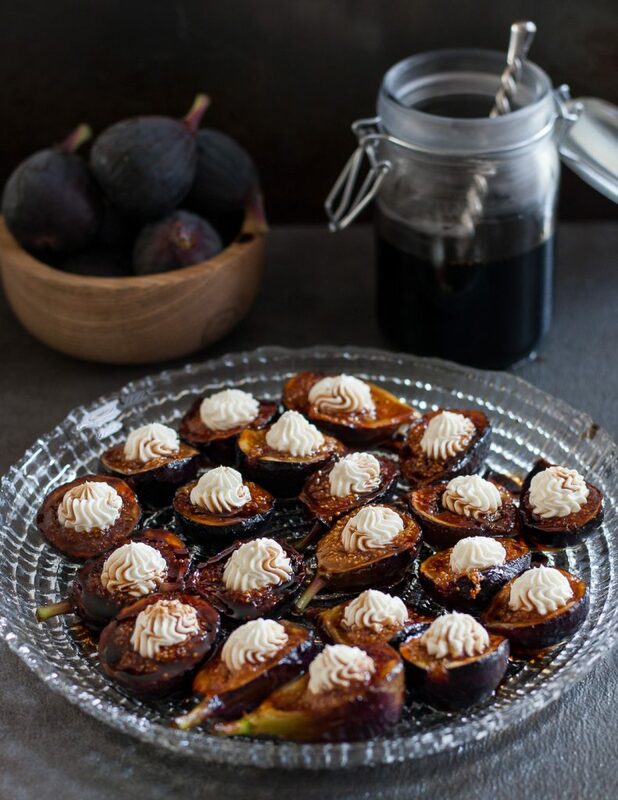 Drizzle the balsamic glaze over the filled figs and enjoy!